We talked to Katy, someone who is at the front line when it comes to helping and advising companies on a range of HR and people issues, especially diversity and inclusion, pay and the people impact of regulation. 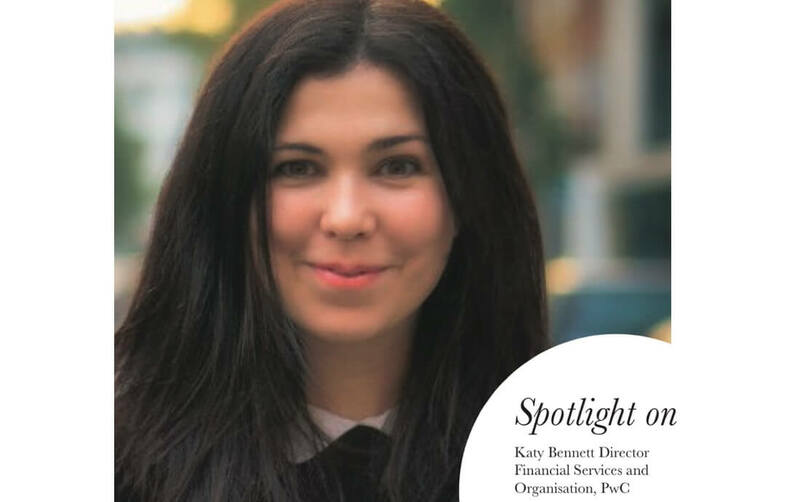 Over the last year, Katy has developed PwC’s approach to helping financial services clients tackle the specific challenges around diversity issues and defining and reaching their goals. Today sees Katy advising clients on HM Treasury’s Women in Finance Charter, so we wanted her take on the issues discussed at WIF and what it’s like being in the trenches day to day with firms across banking, asset management and insurance. “I believe diversity is about getting the most out of people because the inclusion of di erent skills and experience is the best way to achieve success. It’s a hugely important issue and I am passionate about the subject but realise we still have a long way to go. It is a good time to be looking at the issues because because the Government is increasingly focused on it via gender pay concerns. is April in the UK, every company with over 250 employees will have to publish their gender pay details and, as a result, their gender pay gaps. So when these become known and are more visible to everyone, the diversity issue will well and truly be under the spotlight. Hopefully this will lead to more women seeking senior roles, bigger and better opportunities and confidence to ask for more. I believe younger women will look at the figures and use them to choose which organisations to work for. Equally they may also be put o entering any industry which has a history of poor pay for women. This then develops into a reputational issue. Organisations are open to the risk of losing face unless they are also seen to be trying to improve diversity within their business. There is no one-size-fits-all solution for diversity – all organisations are different, therefore their individual issues are not always the same. Some industries have trouble recruiting any women at all, while others have an issue with promoting the women they have into senior roles. So unfortunately there is no magic bullet when it comes to solutions, instead I look at each company individually and clarify what their main issue is before I make recommendations. The changes don’t always have to be big ones. Sometimes they can be subtle, but whatever we put in place needs to be measured and grounded in data to see if it really is their main challenge or whether it goes deeper. This isn’t an easy task and it isn’t always immediately clear what the solution will be. Corporations are complicated entities with many moving parts that could contribute to the problem in some way. Of course any changes must come with a top to toe cultural change commitment which is often very difficult to do. Added to that is the omnipresence of unconscious bias which is impossible to eradicate completely because of human nature. Besides training, we need to ensure there are measures which remind, or nudge, companies to progress in this area – it is this constant awareness and consideration and every moving part that bring about the changes, but of course it will take time. The attitude towards the Women in Finance Charter has been positive, especially with so many large firms joining and making a commitment to change. Diversity is a sensitive topic so when you commit to the Charter you are opening yourself up to potential criticism, which leads me to believe that those who have signed up must really care about the subject and want to make real improvements.